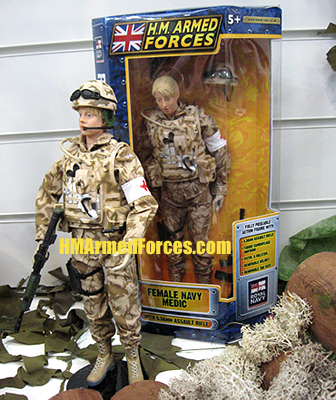 As trailed on this site last year the HMAF Female Navy Medic figure will be released in 2010. 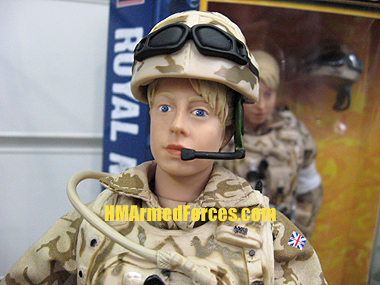 Part of the HM Armed Forces Royal Navy series, the highly-detailed new Female Medic figure wears a fabric desert camouflage uniform complete with red cross armband. The Medic has a pistol and holster, removable helmet and removable TAG vest (Tactical Assault Gear). The Royal Navy Medic comes equipped with a 5.56mm assault rifle.